The UK gambling sector landscape has changed dramatically! The UK gambling sector landscape has changed dramatically over recent years. 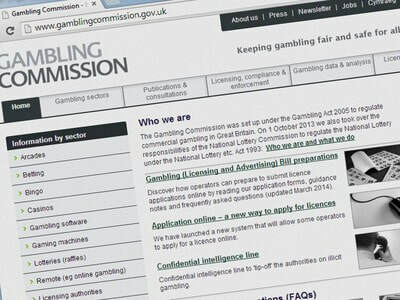 There has been a increase in the availability gambling services to the public in the UK. The main areas of growth have been in two areas. The first is on the high street with Fixed Odd Betting Terminals (FOBTs), and online gambling access on all mobile devices. Regulation has struggled to keep up with the speed of change and are continuing to play catch up with the rapid growth in the industry. Currently, the gross gaming yield of the British gambling industry is estimated to approximately £14 billion, and online gambling accounts for about £4.7 billion of the overall amount. These are not small numbers by any means and the UK Government has been quicker is ensuring that Taxes are levied while the industry grows and grows. This has also posed some challenges to the operators, because country’s legislators realised that the great success of companies, measured in growth and prosperity, has been hurting local gamblers, their families and even entire communities. To protect the consumer the UK Government and the Gambling Commission are implementing a number of bills, which are expected to take effect as early as 2019, having been passed by the country’s gambling regulators this year. Following a lengthy review and waves of criticism, in May 2018, the Department for Digital, Culture, Media and Sport (DCMS) finally revealed a decision to slash the maximum wagers allowed at fixed-odds betting terminals (FOBTs) from £100 to £2. Despite the fact that the HM Treasury revealed expectations that it could lose over £100 million on an annual basis as a result of the reduction of the FOBT maximum stake. Until recently, the Government was ready to provide operators with the required delay, giving gambling companies until October 2019 to adjust their operations to the new requirements. However, the announced postponement fuelled a massive outrage among communities, anti-gambling campaigners and even Members of Parliament. The delay even led to the resignation of the then-Minister of Sports and Civil Society, Tracey Crouch, who was one of the most eager campaigners against the detrimental impact of controversial machines. Following the ubiquitous grudge faced by the UK Government, the British lawmakers finally decided to stick to the initially-announced date for the implementation of the reduced stakes. Several weeks ago, the Government announced that the reduction is to be officially made in April 2019. Currently, gambling operators in the UK are required to pay a 15% point-of-consumption tax, which was originally introduced in 2014 as a way to tax British players using foreign online casinos. However, the UK Government is trying to compensate for the losses that it is to suffer due to the fixed-odds betting machines’ maximum stake reduction. This has been one of the main reasons why local lawmakers decided to boost the tax to 21% so that the contributed amount makes up for the losses caused by the cuts, which according to some estimates would cost the exchequer more than £1.10 billion over a five-year period. Still, despite the problems which UK gambling operators are expecting to face, the Government has revealed that the new point-of-consumption tax would help it provide all gambling companies which operate in the UK with equal opportunities. The HM Treasury revealed that the implementation of the new gambling tax rate will take place in 2019. The UK Gambling Commission is also moving forward with campaigns and consultations to get operators to be more proactive in monitoring and preventing Gambling Harm. One thing is certain as the industry continues to grow, new rules and regulations and increased monitoring will not be far behind. We were extremely pleased with the unprecedented level of submissions from startups across the world who wanted to pitch their new ideas within the gaming industry at ICE London. The event is normally held over the first day and we had quite a job whittling down the submissions from nearly 50 to the best 23 for the opportunity to pitch to industry leaders for investment and business development. Each company had a 7 minute pitch slot, with a further Q&A from the audience. We ended up with a very impressive selection of startups across the breadth of gaming; from new odds comparison ideas, exciting ID and verification platforms, which have some serious RG implications and a whole new range of game ideas at varying levels of development. We were also delighted that Melissa Blau agreed to moderate the first half of the day, Melissa has significant industry experience and is a seasoned moderator. In addition to the Pitch itself, we also organised, in conjunction with Clarion Gaming, VIP drinks after the pitch. We invited numerous industry investors and disruptors to meet the startups and to find out more about their ideas. We would like to congratulate all the startups this year who were given the opportunity to pitch, we hope they found it a valuable experience, certainly the feedback on the day and afterwards has been very positive. Finally, we would like to thank Clarion Gaming for putting on such an exceptional event, and investing time and effort to give new startups the opportunity to be seen and heard. They are one of the best marketing teams we have worked with and we look forward to building on this going forward. The Future of eSports is Looking Brighter Than Ever Before…But What Is It? ​​eSports simply stands for Electronic Sports—a concept that turns online gaming, basically competitive video gaming between two or more players, into a viewing experience, and thereby a betting opportunity. Reports vary dramatically on both number of viewers tuning into eSports broadcasts worldwide and the market revenue. Some reports go as far as to claim 300 million people are watching, and revenues upwards of $900 million already, and with estimates that fans will place bets for a total $13.5 billion by 2020!!! What we can say, without doubt is a lot of people are tuning in, and there is a significant financial reward for those prepared to take the risk entering the market. According to Alex Igelman, managing director of Gaming Research Partners, eSports betting already surpassed golf, tennis, and rugby. Even more evidence; the world’s gambling hub Las Vegas has also embraced eSports opening an Arena at the top of the Luxor Hotel, becoming the first permanent eSports venue. ​Some countries are also taking the eSports opportunity very seriously. Back in 2013, the USA declared professional eSports players as professional athletes! This doesn’t involve the same discipline as traditional athletes (although studies show similarities between gamers and athletes) but does make travelling the world to compete at events far easier. It also allowed sponsorship both with the athletes and gaming development companies and there are now words on product placement within games. In 2016, France opened similar lines to the USA but taking a step further and linking the partnership with the “French National Olympic and Sports Committee”. Turkey have also followed a similar path. The dramatic increase of eSports should have a massive impact on the betting industry. With the protentional for so many tournaments to happen simultaneously across the globe, millions of players would be on-line at any time of the day and making wagers on themselves, as well as others wagering on the more structured eSports matches…but is it legal? ​The UK gambling legislation – the Gambling Act 2005, does not distinguish between ‘payment to participate’ in competitive tournaments, and acting as a "betting intermediary" to allow players to play against each other. Processing as a "betting intermediary" would constitute an offence without a gambling licence from the Gambling Commission. A betting intermediary is defined in section 13(1) of the Gambling Act, as "a person who provides a service designed to facilitate the making or acceptance of bets between others". The UK Gambling Commission published a discussion paper which establishes how it interprets the definition of "betting intermediary" in the context of eSports. To quote that paper, section4.7 “Given the definition of a betting intermediary, our preliminary view is that a person who is offering facilities for match ups, by introducing participants who bet against each other about who will win, is providing a service designed to facilitate the making or accepting of bets between others. If that is the case then the person offering those facilities may be acting as a betting intermediary and would need a licence”. Therefore, a game publisher who accepted bets against players in a tournament would require a gambling license, but a game publisher could inadvertently enter into "betting intermediary" if, 1) the participation fees collected for tournaments are bets from players against each other (i.e. I bet I will win); and/or 2) if the prizes are winnings from those bets placed by the players who proceed to win the tournaments. This could of course constitute Pool betting if we wasn’t talking about “Skill” games, but that would be another paper! Steve George, BG Operations, November 2018. ​Best Gambling view protection of its members is fundamental and central to providing gaming services to the public. Gaming is a leisure activity and is to be enjoyed by individuals responsibly. For this to flow throughout Best Gambling, many steps and functions are deliberately designed and implemented throughout the organisation from the Board right down to the customer services and managers who deal directly with the members on a day to day basis. Social Responsibility and protection of the player is part of a wider commitment offered to Best Gambling players to ensure that all services, information and supporting tools are available when the players and the operator providing guidance and support needs them. ​The online industry has grown significantly and become part of the main stream leisure activity. More and more people are joining and have easier access than never before. In 2017 online Gambling accounts for 33% of the total Gaming in Britain, generating £4.5 Billion between April 2016 to March 2017, and the figure is likely to increase year on year with even easier access and new and innovative ways to participate being created. Best Gambling operates with a collaborative approach to their social responsibility obligations. This is achieved by understanding that responsibility is not owned solely by the operator or the individual. Operators, Players, the UK Gambling commission and the respective support organisations all have their part to play. In considering responsibility in this way Best Gambling has and is continuing to establish itself with understanding their user base and ensuring protection of the player is integrated as part of the playing games provided by the Best Gambling group in the UK. Aj Seth, BG Complaince, October 2018. We will be posting news about the Best Gambling progression into the Gambling market as well as Gambling Industry news among other items. Follow us on social media (see links below) or you can RSS this feed for the latest updates. Fran Beauchamp, BG Commercial and HR Operations, October 2018. Licensed and regulated in Great Britain by the Gambling Commission (licence no. 000-052300-R-329291-001). Best Gambling is certified to ISO27001 Information Security Standard (DAS 46222295/0/I).